Fusion Salon and Spa in Woodbridge, Va was where I spent part of my birthday being pampered. I had a wonderful experience and left completely relaxed after a massage, manicure, and spa pedicure. It was a welcome treat as the stress level has been higher than usual. It may have something to do with my job as your Woodbridge Mortgage Lender . Anyway if you are looking to be pampered, made up or made over give Fusion Salon and Spa call at 703-490-8838. Watch this short video to learn more about Fusion Salon and Spa in Woodbridge, VA. 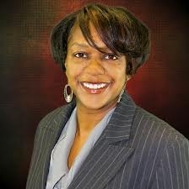 Contact Markita Aldridge-Woods at (703) 929-2274 or via email for custom tailored mortgage solutions. Fitness Centers in Woodbridge, VA- Retro Fitness is Opening Soon! Woodbridge, VA Homeowners-Are You Paying Too Much Tax Right Now?